BOUNCE will incorporate the most acceptable/mature measures and outcomes in order to define the optimal prediction measures for understanding illness adaptation in breast cancer. Members of the consortium have the expertise and can provide mature predictive models for well-being, survival, risk of metastasis, persistent pain and cognitive profiling. HUS, the coordinator of the BOUNCE project, has already a clinically validated and mature toolbox for predicting patient-specific risk of sentinel node and nonsentinel node metastases in breast cancer. The specific models of HUS are also available as an application in the app store Predictive Tools for Breast Cancer. The ALGA-C and ALGA-BC (breast cancer psycho-emotional profiling) have been designed and clinically validated by the European Institute of Oncology in Milan and developed by FORTH as a predictive model for cognitive outcomes. Our consortium has also extensive experience in developing in silico prediction tools of tumor growth based on macroscopic and cellular-level modelling of physiological variables putatively involved in oncogenesis. The MinePath pathway analysis model and the oncosimulator employs a hypermatrix to represent the anatomic region of interest and the local biological, physical, and chemical dynamics of the region. Through a series of algorithms, the temporal, spatial, environmental (e.g., local oxygen and nutrient provision level) and treatment effects can be modeled and continuously updated astochastic perturbations about the mean values of several model parameters are considered (hybridization with the Monte Carlo technique). 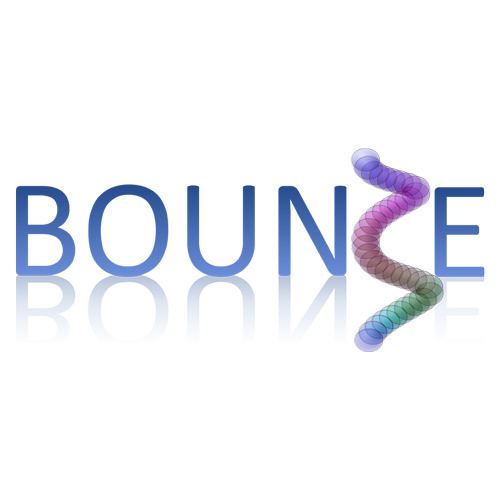 Within the clinical, psychosocial and computational framework described above, the multidisciplinary BOUNCE project will sought to develop clinically acceptable models of patient successful adaptation to breast cancer, ultimately capable of providing clinical oncologists and health professionals with concrete recommendations regarding personalized patient management. An innovative feature of the BOUNCE project will be based on the effective fusion strategy, which is expected to boost the overall models accuracy. In addition, since the output of the models concerns multiple types of trajectories, weighted average schemes (e.g. linear combination, Bayesian combination, Bayesian Model Averaging (BMA), fuzzy rules, evidential reasoning technique) as well as supervised learning methods will be applied. The fusion approach will also consider the different reliability factors of the models’ outcomes. 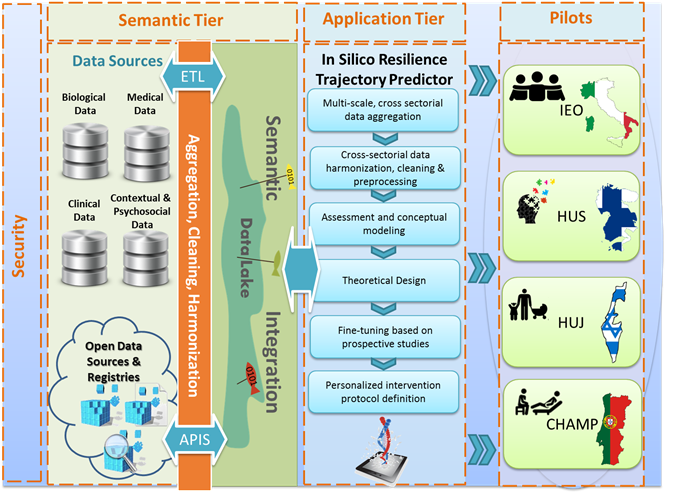 Definition of reliably measurable dimensions of resilience. Objective assessment of the clinical validity of resilience attributes through conventional statistical approaches. This difficulty may be compounded by the dynamic, ever-changing nature of illness adaptation cognitions and behaviours and the complex interplay between contributing factors. Identification of key modifiable attributes of resilience as a function of both individual characteristics (such sociodemographic and cancer type) and ever-changing life circumstances that may affect the person’s dynamic adaptation process. The aforementioned issues and the aspired contribution of BOUNCE beyond the state-of-the-art to effectively addressing them is detailed in turn below.